PATHTAGS! - Home - Who have you crossed paths with? The new and exciting interactive trading item. 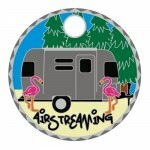 Great for Geocaching, Military, Businesses, Scouting and more! 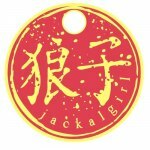 Designing your own tag is fun and easy! Feeling creative and adventurous and want tips and templates? Need "professional help" from one of our Design Partners? You can get all that and more on our design page. Learn tips and tricks and find easy links to our helpful, affordable design pros. 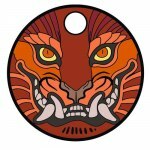 Found a shiny Pathtag and wondering what to do with it? The short answer: Log it here (click the icon in the top) and you are free to keep it for your collection! Now that you found one, we know you can't suppress your curiosity! Click the read more link below to learn about the wonderful world of Pathtags! Pathtags are more than a pretty face, as a customer you get access to our Community features too. Since 2006 our community has enhanced the value of Pathtags by allowing you to connect with friends, collect, trade, and track your Pathtags. 156,598 taggers from 82 countries have made 38,995 tag designs, completed 839,760 trades, and collected 2,853,874 tags using our online tools. Get in on all the fun! Buy a starter kit today! When the US Fish and Wildlife Department wanted to create a challenge cache series to educate the public about the Pacific Lamprey, they wanted to give participants something to remember the experience by. 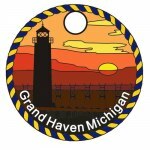 They were looking for a gift that would be meaningful to Geocachers, but which is available on a budget. They selected Pathtags! The only way to get their beautiful tag is by completeing the cache series, located just Southwest of Olympia, Washington. Educate the public about the Chehalis River Basin and the partners working to conserve/restore it. FIRST is a nonprofit organization founded by famed inventor Dean Kamen to promote Science, Technology, Engineering, and Math (STEM) careers among young people. The vehicle for making this happen is a program of competitive robotics tournaments for children as young as Kindergarten through high school. 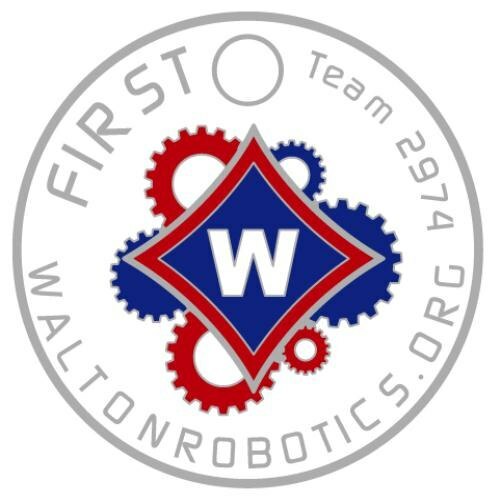 In 2013, Walton Robotics Team 2974 decided to do something special to leave a lasting impression on the people they "crossed paths with" at their competition. 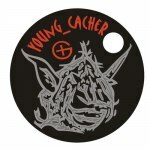 They created a Pathtag to give to other attendees! Lisa Malice, one of the team's mentors, said "The pathtags were a big hit with the students because it was a unique give-away and because of the creative approach to spreading our message. 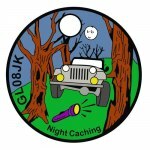 Geocachers I met loved it, but the muggle families I talked with were really intrigued! We are starting to see log ins pop up on our tag map, including the ones I sent to Australia and Oregon to collectors who agreed to place them in geocaches." Dates are estimates for guidance only, they do not constitute a guarantee of delivery. Production times vary. These dates are based on 8 weeks of production & delivery time. There are over 586 user stories, these are just a few! View More or Share your story! "The craftsmanship of these Pathtags are absolutely amazing. I'll have to admit, when I would read the stories of others and their Pathtags, I thought maybe they were getting a little overexcited. But now that I received my first Pathtags, I can see why. The whole experience of taking an idea in your mind, making sketches of it, drawing your idea and then submitting it, waiting to see the final blue print, don't even compare to the proud moment you eagerly open up the package from the mail and see the final product. WOW! Now I sound like an overly excited Pathtag owner. Oh well, I like the addiction." "I got my tag about the time I was expecting it and was really impressed with how it looks. I can't wait to start trading. " 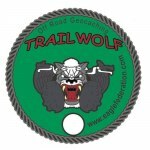 "This is my son's tag and he asked me everyday when his Trailwolf tag would be here. He loves the tags. The detail is great and he carries it everywhere. " 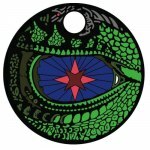 "I discovered Pathtags about a year ago, and finally ordered my first Pathtags. I love it. It is the Celtic Knot from Wicks Works Designs. I could not believe that people wanted to trade for my tag within 10 minutes of my putting it up for trade. I am thrilled to know that the tag will span the globe. Sláinte mhath, StoryMel"
"I am so excited to get my first tags.....I have been collecting them and cannot wait to have one of my own.....thanks to kyndrid for the design....my husband says it looks just like me especially the poked out lower lip and the wandering eyes.....that look in all directions for the cache"
"When I found my first pathtag I moved it to another geocache not knowing what I had found. After learning more about them, I found another a few months later and I kept it. Then another few months went by and I had the priviledge of meeting Jellyfish and trippy1976 at an event, within minutes I was hooked! Ed and Mike not only were able to answer my questions, they gave me a few tags to help fuel the desire to create, gift and trade my own. I've since created 2 tags with 2 more planned for the near future, with more to follow. Another pathtag addict is born, thanks for helping with the addiction! ~Lion "
"Felix arrived in the post today, this tag has turned out better than we hoped, thanks again for a great trading product. Cheers Gayle & Mark"
"I couldn't be happier with my Greatest Inventions tag. The details they were able to retain in this printing press design are unbelievable! Thank you so much!! " "Wow, it looks great! And, you got it to me significantly quicker than I had expected, thanks. 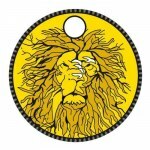 I can now share my story and my coin. My grandfather, from whom I received the car, would have been proud." "This is my second tag design and they came out excellent."